The fall season is nearly upon us. In less than a month, the film world will be buzzing about new movies featuring George Clooney and Brad Pitt, produced by Weinstein and Rudin, primed for the Oscars, the usual routine. But until then, the Locarno Film Festival offers an alternative perspective on new cinema from around the world. The Swiss festival begins its two weeks of screenings today with dozens of new movies from around the world, many of which may surface at Toronto and Venice this Fall with significantly less exposure. For movies buffs, however, these premieres offer just as much a reason to get excited. Here are five potential breakouts from this year’s program. Expect to read more about them and other Locarno films in the coming days. 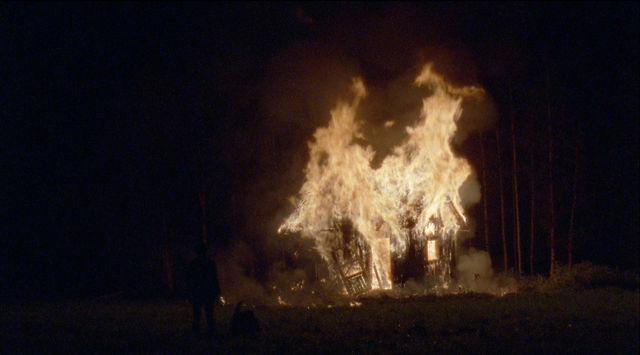 Ben Rivers and Ben Russell have quickly emerged as two of the more significant American avant grade filmmakers working today. Rivers’ haunting, phantasmagorical one-man-portrait “Two Years at Sea” was a sleeper hit on the festival circuit and recently came out on DVD; Russell’s ethnographic documentary “Let Each One Go Where He May” was equally acclaimed. The duo eventually joined forces to tour around and screen selections from their short work, but last year they partnered up for this new, audacious non-fiction portrait, which has been described by Rivers as a depiction of “three propositions for ways of living.” The surreal, expressionistic project centers on a musician named Lychens who transitions from a solitary existence to life in a commune and eventually joins a black metal band. But plot be damned: The wordless trailer tells you everything you need to know. Among the several Romanian directors to gain attention in recent years, Corneliu Porumboiu (“Police, Adjective”) has been one of the most distinctive in the sense that he capitalizes on the key ingredients of the Romanian New Wave (real time storytelling, long takes, dialogue-driven plots and deadpan satire of systematic routines). His latest movie looks like no exception: The story revolves around a director who has an affair with one of his stars, a decision that gradually causes his experience with the production to invade on his life. The self-reflexive aspect of the plot sounds more like the structurally playful films of Korean director Hong Sang-soo, who premieres “Our Sunhi” at the festival this year, but that’s not Porumboiu’s style. Expect a slow burn, experientially peculiar experience reflecting the sensibilities of the best that current Romanian cinema has to offer. Pegged by one Locarno programmer as certain to cause controversy, this graphic adaptation of the controversial German-language novel by Charlotte Roche revolves around the physically unnerving experiences of 18-year-old Helen Memel (Carla Juri) who endures “an intimate shaving accident” and winds up spending a long period of time in the hospital, an opportunity she exploits to grotesque and sometimes curiously sexual degrees in order to stay away from her parents. This is one coming of age story more likely to unsettle people than warm their hearts. Or maybe it can do both? Spanish director Albert Serra’s patient, expressionistic and unfailingly introspective movies, including “Birdsong” and “The Names of Christ,” have gathered a sizable cult following of cinema purists committed to his philosophical vision. Serra’s latest work, which has been in production for quite some time, allegedly tracks the ideological transition of society in the immediate turnover between the 18th and 19th centuries. More specifically, “The Story of My Death” revolves around an affluent Frenchman spending his final days with a manservant and contemplating life — while facing down the metaphoric arrival of cultural changes in the form of Dracula. In other words, another Serra film sure to provoke lengthy analytical debate. One of the most hyped discoveries of the festival, Joaquim Pinto’s nearly three-hour documentary revolves around the filmmaker’s experiences with experimental (and potentially dangerous) drugs to treat his HIV and hepatitis C. The premise alone is enough to raise the profile of the movie, but those who have managed to get an early peek say that “What Now? Remind Me” is more than a shocking diary film and that it has emotional strengths to match its bold premise.